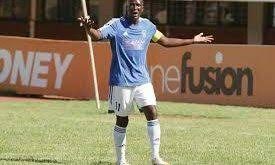 LEGENDARY former Dynamos captain Memory Mucherahohwa has sensationally claimed that Moses “Bambo” Chunga will never be a great coach because he lacks professionalism. In his upcoming biography titled “The Soul of Seven Million Dreams”, excerpts of which have been exclusively availed to The Sunday Mail Sport, Mucherahowa reveals why there is no love lost between himself and Chunga. The man nicknamed Mwendamberi during his playing days describes Chunga, who won the league title with Gunners in 2010, as lucky. “While Chunga at a personal level is a very good person I don’t think he can be in the mould of Sunday Chidzambwa as a coach,” writes Mucherahowa. 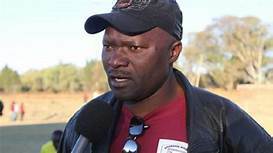 Mucherahohwa adds that he suffered at the hands of Chunga’s alleged lack of professionalism during his short stint as Dynamos team manager. “I remember during my short stint as the acting team manager he used to come late for training without communication at all. Sometimes he would arrive as late as 14:30 hours with just 30 minutes remaining before match kick-off and we would be forced to pick the team on his behalf. Mucherahowa discloses that his bad relationship with Chunga can be traced back to the boardroom squabbles that rocked DeMbare towards the start of the 2002 season. “Chunga had teamed up with Chidzambwa to prepare for the 2002 season and this did not go down well with the (Ignatius) Pamire-led executive. 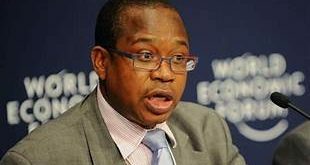 They were afraid that Chunga and Chidzambwa might usurp their powers. When the fight got nasty and Chunga’s house was vandalised by “unknown assailants”, Mucherahohwa found himself having to answer some uncomfortable questions. “Unfortunately Chunga thought I had something to do with it because of my closeness to Mutemasango. Chunga called me that day to enquire if I was at home. He later came to my home in Kambuzuma and accused me of being part of a group working against him. I professed my innocence but he did not buy my words,” reads the account. 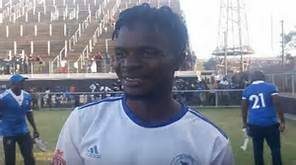 The breakdown in his relationship with Chunga marked the beginning of the end of Mucherahohwa’s reign as Dynamos team manager. “My contract as acting team manager had expired so I went to Pamire to ask about the club’s position. ‘Talk to the head coach,’ Pamire referred me to Chunga. From the way Chunga received me it was obvious the relationship had been tainted. ‘I will think about it,’ he told me. “It became clear to me that Chunga was not interested in hiring me so I decided to embark on a career change,” recalls the DeMbare legend. But he yearns for a thawing of ties. “In him I saw a brother and he treated me as such. I still see him as such and yearn for this nightmare to end one day. To wake up and him tell me it was one long bad dream and that he is still my brother,” writes Mucherahohwa. Previous Where art thou, O Prophet?